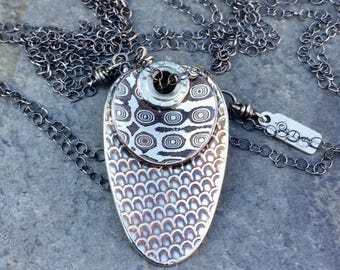 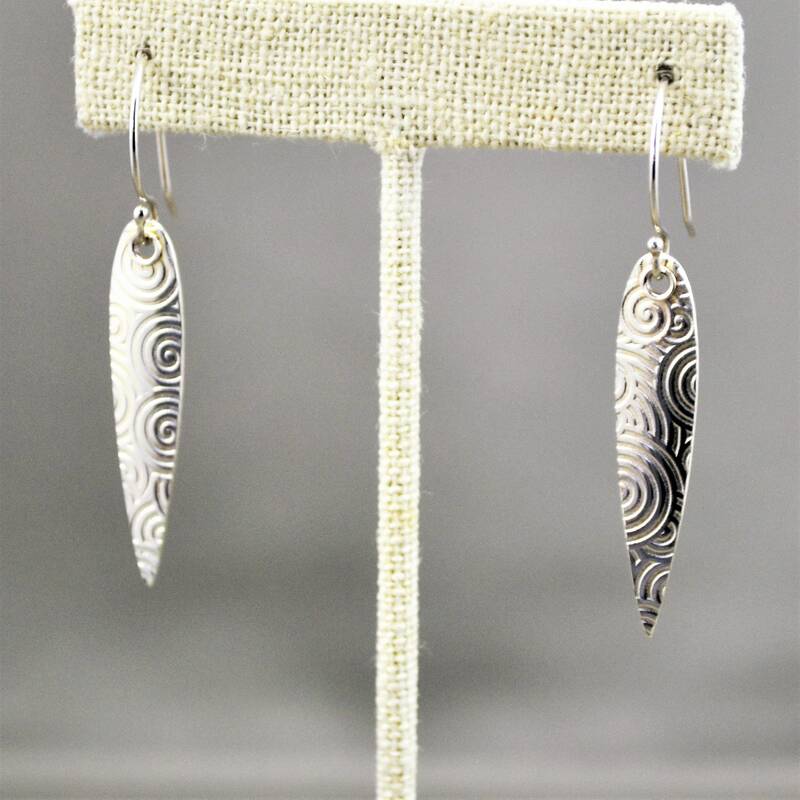 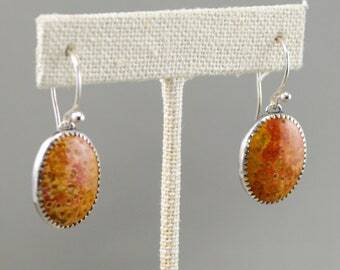 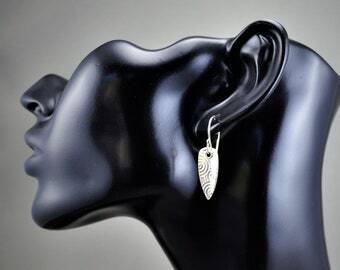 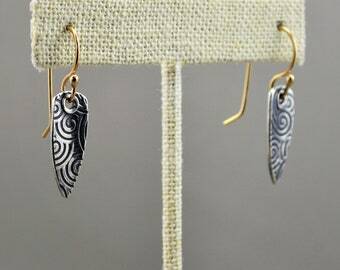 Here's another pair from the spiral patterned series: Sterling silver pierced long drop earrings roller printed with one of my favorite spiral patterns. 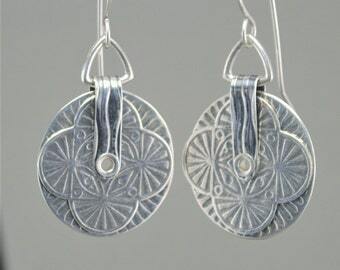 I made the 19 gauge earring wires with low tarnish Argentium®️Sterling 935 silver. 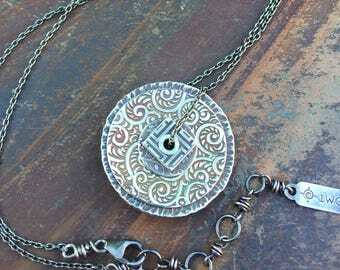 Length: approximately 2-1/8" long by 3/8" wide.